We sincerely thank all participants in the 1st TRAKEHNER FOR LIFE FOAL CHAMPIONSHIP and would like to present the winners to you here. The winner is Elisabeth Vester of the Stöckerhof Stud with her colt, born on 10.05.2017 out of the St. Pr. Mare Ischi`s Songline v. Songline! The black foal was awarded a sensational 60 points at the foal examinations and was thus the highest rated Perpignon Noir foal. The winner is Gisela Gorlo from the Gorlo traditional stud, which is also the breeder of Parade Go, who is Perpignan Noir’s mother. 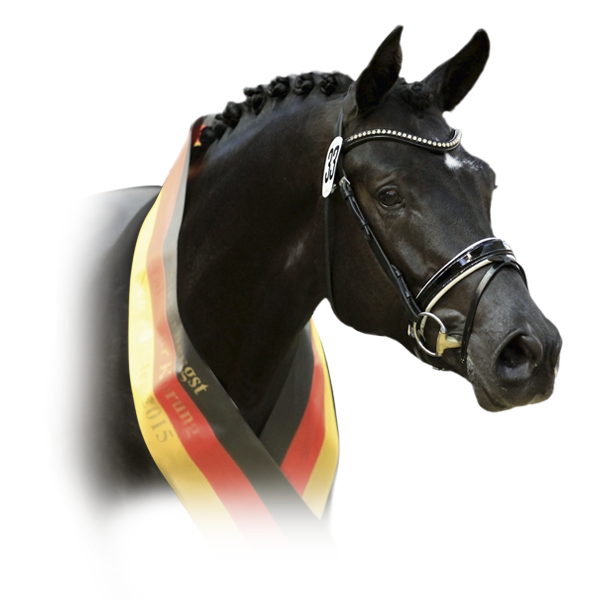 The mother of the colt, born on 19.05.2017 is Papagena Go out of WörtherseeXX, known as the champion mare and twice class winner in the Trakehner Federal Show 2004, renowned as one of the best half-breed mares of all German breeding associations. The chestnut coloured colt was awarded 58 points at the foal examination and secured second place due to the higher number of marks for gait. The winner here is again Elisabeth Vester of the Stöckerhof Stud with her filly out of the Pr. Mare Firegirl v. Montafon! 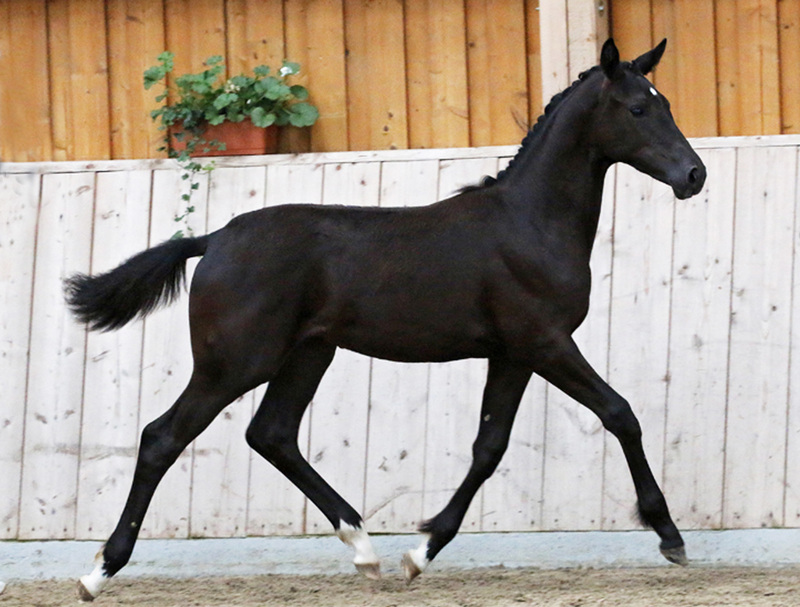 The black foal was awarded 58 points at the foal examinations and was thus the highest rated Perpignon Noir filly. The winner of the 4th prize is Patricia Pröschner from Schotten, with her colt named FELIPE NOIR, born on 20.05.2017 out of Felisha von Cadeau! 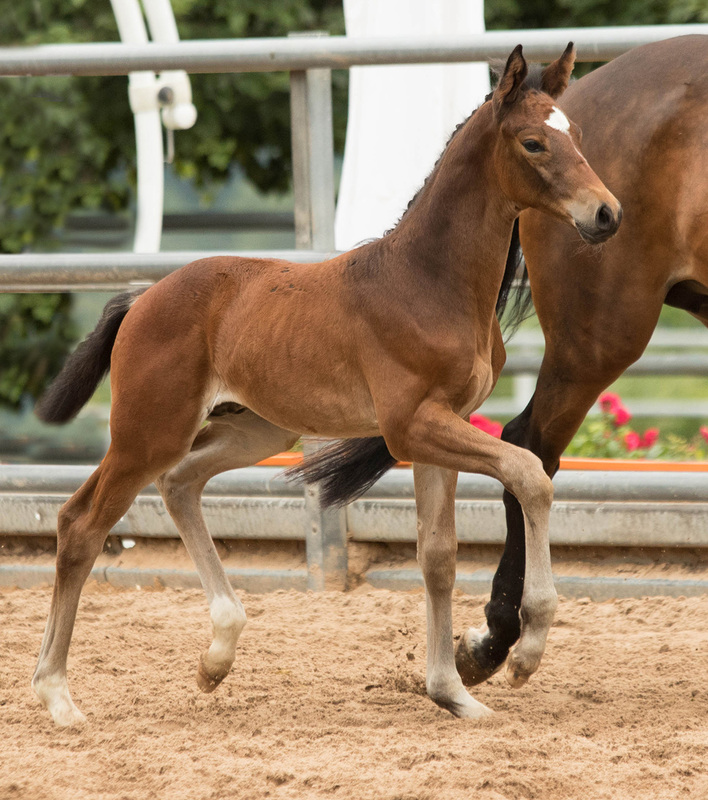 The brown colt was awarded 57.5 points at the foal examinations and was Champion of the traditional Hörstein Foal Championship. The winner of the 5th prize is Dr Lutz Schubert with his colt out of Kadmea von Normativ ox, born on 27.04.2017. 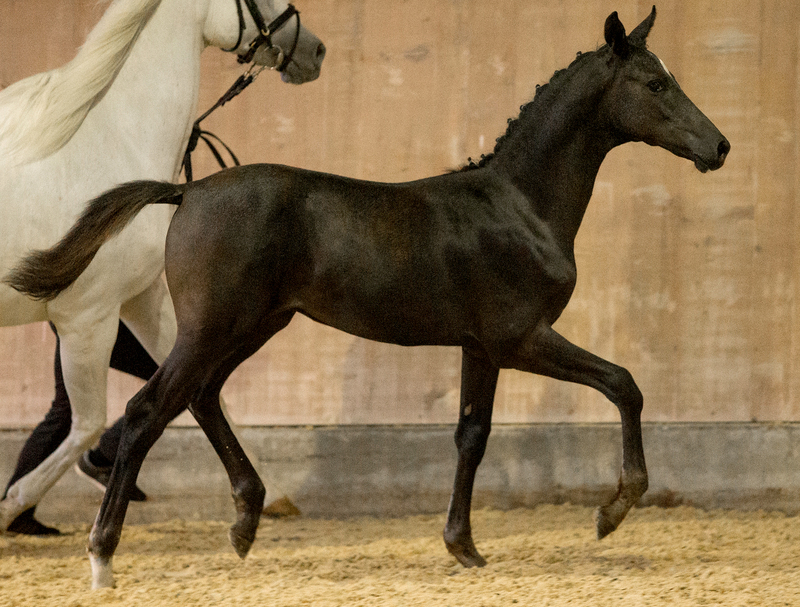 The colt was awarded 56.5 points at the foal examinations and is at the same time the most refined foal out of PERPIGNON NOIR. All offspring from PERPIGNAN NOIR who are registered with the Trakehner Association are eligible. 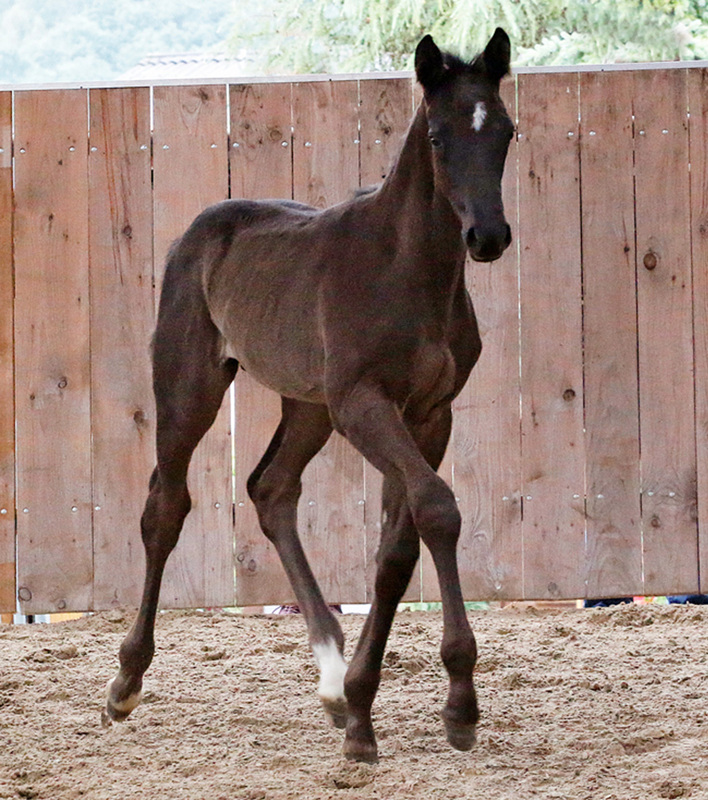 The official evaluation of the Trakehner Association’s foal registration is the basis for the award. If scores are level, the highest total mark, followed by the higher type and step marks are decisive! A short description of the pedigree and the breeding establishment as well as information as to whether the expected offspring are available on the market will be presented free of charge for the Top 10 participants. We shall award the first rank with a monetary prize of 1.000,- Euro, as well as 600,- Euro for the second and 200,- Euro for the third ranked horse. The Top 3 will additionally receive a cover free-of-charge. For ranks 4 and 5, we shall be giving away each a cover free-of-charge for a repeat of the successful pairing! We are looking forward to a large participation and an exciting championship! * In order to register, the proof of a evaluation, the mother’s pedigree as well as a photo of the horse must be included. The judges’ decision is final. No transport or shipping costs are included in the free-of-charge cover costs. TRAKEHNER FOR LIFE reserves all rights.